Hybrid bikes give riders the best of both worlds: they’re efficient and comfortable on the road, but they’re capable enough for some light off-road riding, too. They’re perfect for commuters, fitness enthusiasts, and anyone who’s looking for a general-purpose bike that can do anything. Here are our favorite hybrids for commuting. Here are 10 of the best hybrid bikes you can buy at any budget, from very affordable to . . . well, really expensive. But they’ll all get you where you’re going. 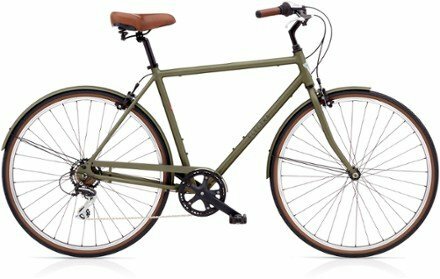 Need a cheap bike fast? The EVRYjourney can be at your house in two days thanks to Amazon Prime. It will get you where you’re going—and it comes with a rack, fenders, and a chainguard. 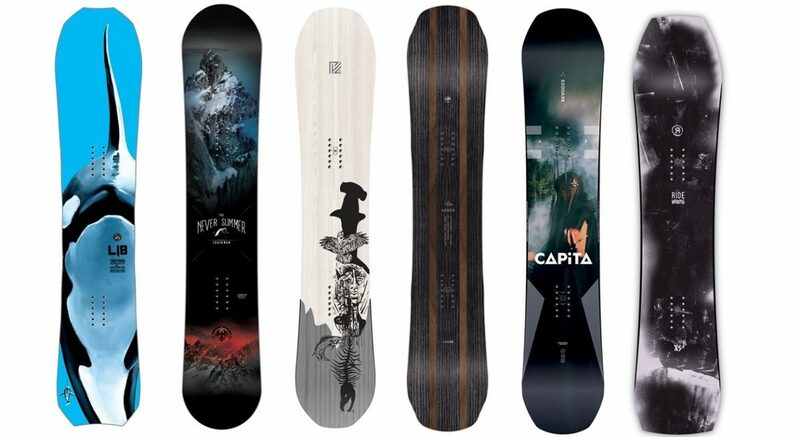 Did you know you could get all that for less than $400? I didn’t. I’ll be honest: you’ll make some compromises with this bike. You only get seven speeds. You get 26″ wheels. The components are . . . well, about the lowest-end you can get. But this bike has gotten solid reviews for a reason. It’s very, very affordable. It’s simple. It works. The cruiser styling means you can put your feet on the ground without getting off the saddle. In short, it’s a solid, cheap commuter. There’s a reason that this bike has been featured in our list of the best hybrids two years in a row: it’s a fantastic deal. You’ll be hard-pressed to get this much bike for $500 anywhere else. It has disc brakes, rack and fender mounts, 24 gears, and big 700x40c tires that come stock. That means this bike is ready for commuting, weekend path riding with the family, running errands, and even some light gravel riding. In short, the CTY 1.1 is everything you want in a hybrid bike: affordable, flexible, and ready for any weather. Pure Cycles was founded with one thing in mind: value. And the Urban Commuter carries on that ideal. In a departure from most affordable hybrids, this stylish option is steel-framed, giving you more shock absorption and classic styling. But this bike isn’t all looks. Disc brakes give you great stopping power in all conditions. You can use a rack and fenders to carry your gear and stay dry. 700x32c tires sacrifice off-road traction for paved speed and agility. Interestingly, Pure Cycles has opted for a 1x drivetrain on this bike—meaning you only get 8 gears, instead of the more common 16 or 24. But that means less maintenance, which is a big plus. Diamondback’s Haanjo line consists of drop-bar gravel bikes . . . except this model, which might slide by unnoticed except for its fantastic commuting potential. Most of the components on this bike are made for gravel riding: mechanical disc brakes, 1×9 gearing, 700c wheels, and so on. But the flat bar changes everything. It gives you a more relaxed position than the drop bars you’ll find on the more race-oriented versions of this bike. Which means you can commute on the road, through the grass, over gravel, and just about anywhere else you can imagine. And that translates to your weekend rides, too. You might call this a flat-bar road bike. But you might call it an all-around phenomenal ride. If you think that this looks more like a mountain bike than a hybrid, you’re not alone. It’s clear that GHOST drew from their experience in off-road bikes for this one. But with 700x35c cyclocross tires, only 50mm of fork travel, and 27 gears, this bike fits squarely in the hybrid category. Those cyclocross tires, though, hint at the Square Cross’s biggest strength: it can handle just about anything. It’s not just made for commuting. It’s also made for cruising gravel roads and paths, and maybe even a mild trail. It’s hard to find a hybrid closer to a mountain bike than the Square Cross. 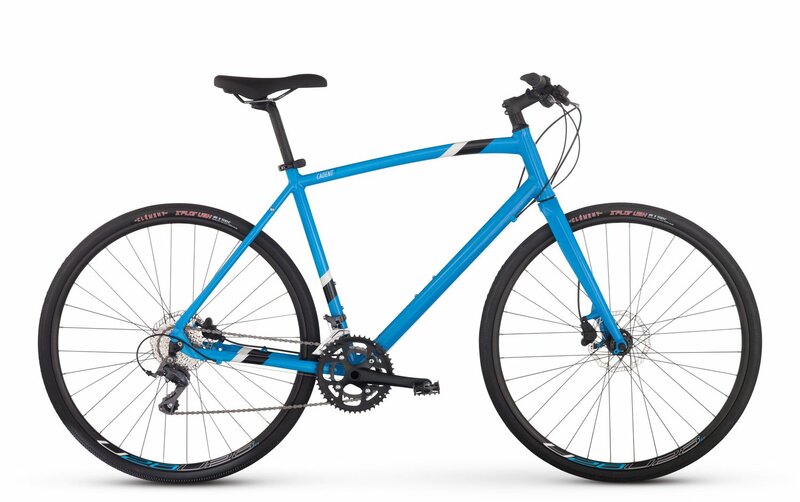 If you want to explore off the beaten path, but also want a very sensible commuting bike, this is a great way to go. 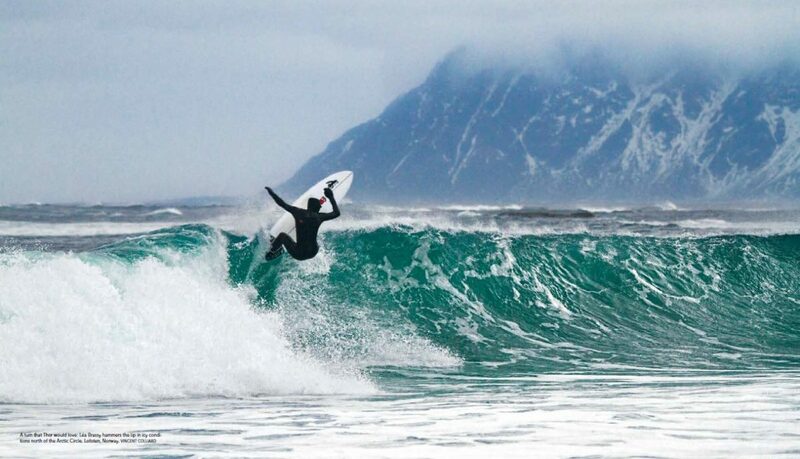 Few hybrids promise as much fun as the Redux. Its 27.5″ tires sit squarely in mountain bike territory, but the included slick tires stay efficient on the road. The combination handles curbs, train tracks, and all manner of debris with little effort. 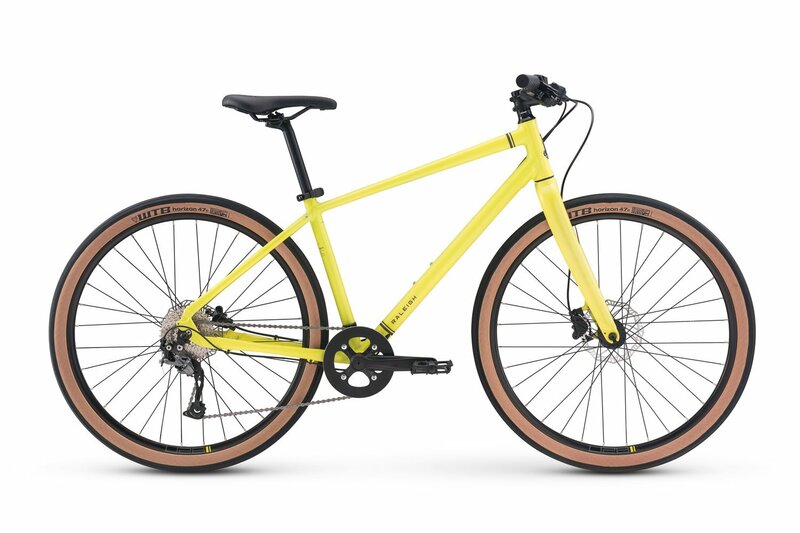 Like the Pure Cycles Urban Commuter, this bike opts for a single chainring up front, meaning you don’t have to worry about shifting or maintenance. You still get 9 gears’ worth of options, though. And let’s acknowledge this color. There’s nothing else quite like it. You’ll never lose this thing on a bike rack. The Cadent series is about as straightforward as hybrid bikes get. They’re informed by mountain bike geometry, but they pack roadworthy features to get you through your commute fast. Take the carbon fork, for example. It doesn’t rob you of power like a suspension fork does. But it’s compliant enough to dampen road noise and keep you comfortable. And the 700x35c tires. 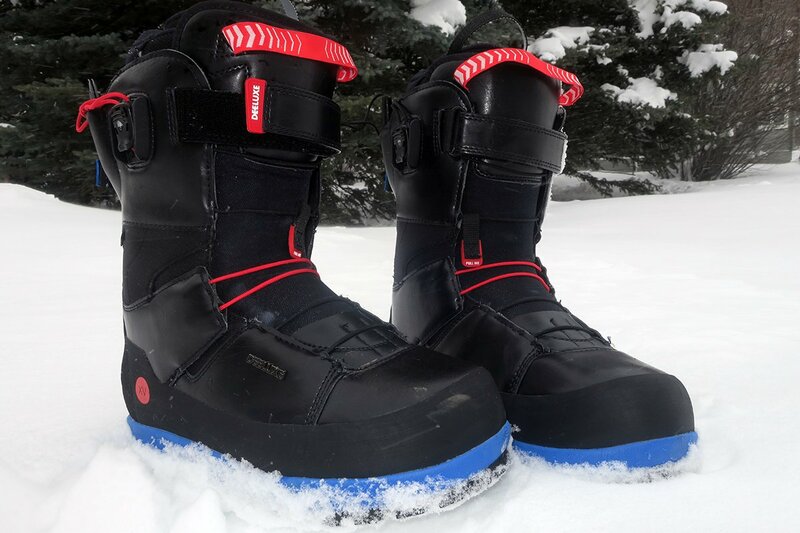 They’re big enough to handle a variety of mild terrain, but they’re slick for efficient road riding. The Cadent 3’s 27 gears will take you anywhere you want to go. One look at this bike will tell you everything you need to know about it. It’s the color of wet asphalt. It has a rigid Lefty fork. A sporty frame design. And, most conspicuously, a Gates belt drive. What’s a belt drive, you ask? It replaces the chain with a belt. You can’t drop your chain, because you don’t have a chain. No need to clean or lube it. The hub is internally geared, so you can’t kick up road debris into your gears. It’s an absolute game-changer. Even beyond the belt drive, this bike has cool features for commuters, like rechargeable LEDs built right into the seatpost and the fork. The 650b wheel size and 8 gears make it feel a bit more like a mountain bike . . . but the Bad Boy is all street. This is a controversial pick. But there’s no doubt that electric bikes make great commuters. Especially in places like Denver, where the summer heat means you don’t want to pedal hard to get to work. 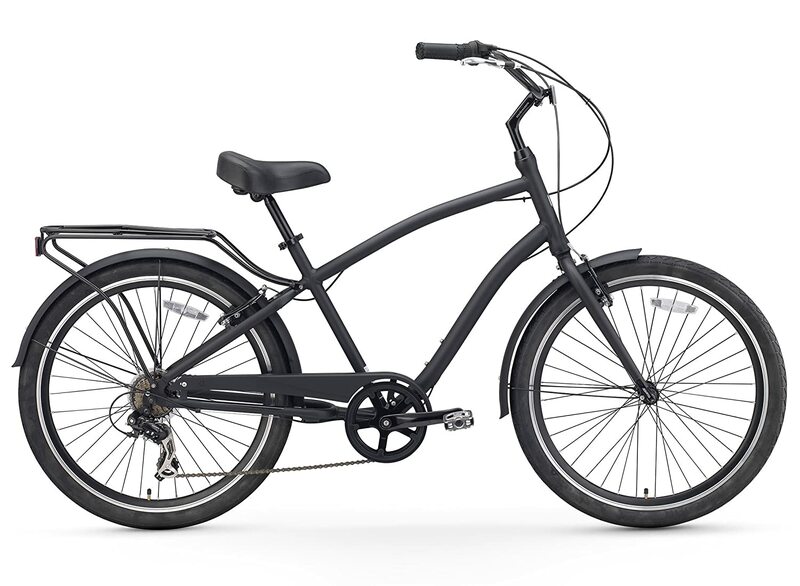 It’s tough to find a more affordable electric hybrid than the Townie Go! 8D. And none of them have Electra’s signature cruiser/hybrid style. This is the only holdout on this list with 26″ wheels, which means you won’t be rolling over any big obstacles—but that’s not what this bike is for. What it’s for is getting to work efficiently, accelerating and braking quickly, and giving you four different levels of pedaling assistance. Yep, another electric. Fight me. The NEO is a class 1 ebike, which means it assists you in pedaling; it won’t go on its own. But it’ll help you get up to 20 mph much more efficiently. 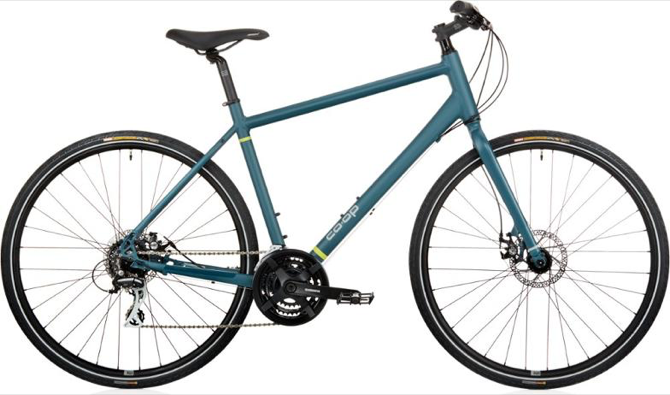 With a sporty design, a carbon fork, and 9 gears, you get a commuter that can seriously cut down the number of miles you put on a car. Which means this bike is an investment. Think of that price tag as contributing both to a healthier environment and increased life on your car. It’s worth it. Most hybrids look pretty similar: they often fall squarely between road and mountain bikes, they’re relative sparse when it comes to flair, and they’re very utilitarian. Electra blows all of that away with the Loft 7D. A single look at this bike makes it clear that it’s not following in the steps of other hybrids. The old-school styling starts with the steel-styled frame (which is actually aluminum, paired with a steel fork) and gets topped off with the brown leather saddle and grips, classic brown-wall tires, and included fenders. The matte khaki paint job gives it a vaguely military look that stands out with its understated tones. 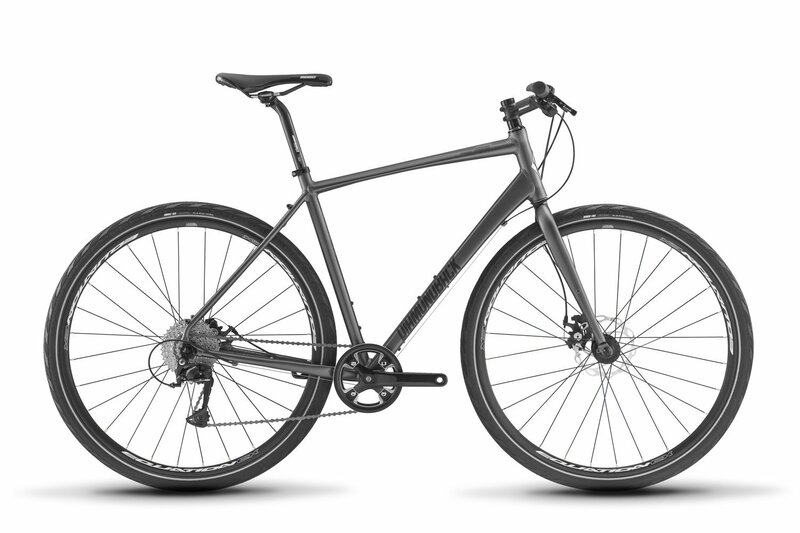 The Diamondback Insight 2 is a quality hybrid bike that won’t cost you an arm and a leg. It is by far one of the top models in the sub $500 range. The Insight 2 is designed to be both comfortable and fast. 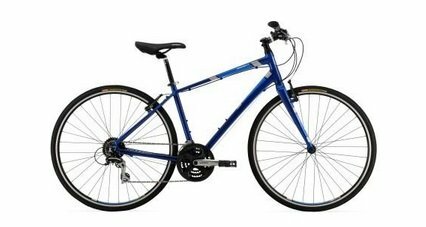 It is an easy to ride bicycle that is perfect for those wishing to use it for commuting or errands. With 24-speeds, Diamondback has given the Diamondback Insight loads of versatility. The aluminum frame is strong while the 700cc road bike wheels are stable and smooth rolling. At first glance, the Journeyman doesn’t look like a hybrid. But when you look closer, you’ll see that it has all of the features that make a great all-around bike. Making the cut for one of the best bicycles of 2019 for all around riding. While it has 650b wheels, which hybrids usually pass up for 700s, it comes with 2.1″ tires, which are plenty skinny for the road (especially if you’re also going to be doing some dirt or gravel riding). The fork is rigid, giving you more efficiency with each pedal stroke. A 1×11 drivetrain keeps maintenance low. The frame has all the rack mounts you could need. Internal cable routing protects your cables from mud and water. If you’re going to be riding on anything other than a nicely paved path or road, having a suspension fork can help smooth out your ride. This entry from Cannondale is road-oriented but packs the suspension to keep things comfortable on gravel, too. 50mm of travel in the fork is plenty for gravel, dirt, and grass paths, as well as rough roads. The Quick CX 2 even packs “micro-suspension” seat and chainstays to soak up further bumps. They’re complemented by 700x38c tires that smooth the ride, provide traction, and keep rolling resistance to a minimum. 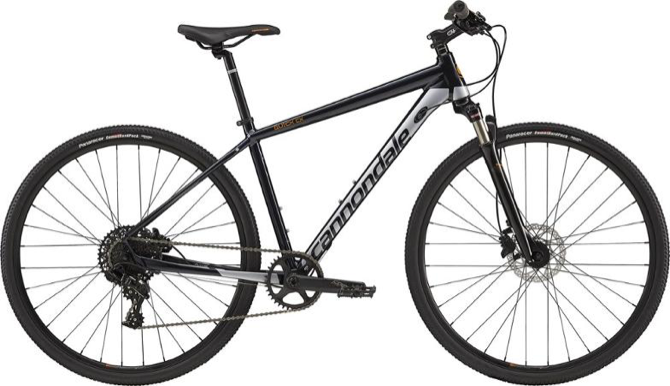 It’s hard to go wrong with a Cannondale bicycle. And their Quick Carbon 1 is one of their very best hybrid bike offerings. It is light, fast, and incredibly easy to use. 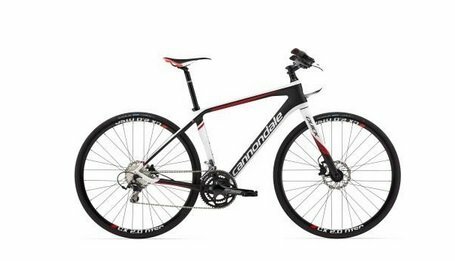 The Cannondale Quick Carbon 1 starts things off right with a lightweight and responsive carbon frame. Shaped chainstays and seat stays reduce vibration and improve comfort. The BB30 bottom bracket shell design further increases stiffness to improve power transfer from your pedals. Interested in more bike roundups? Check out our favorite commuter bikes, e-bikes, trainers and more.